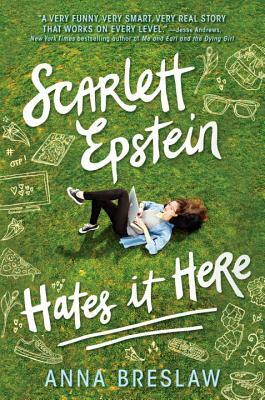 Cross Veronica Mars with MTV's Daria, and you’ll get Scarlett Epstein, the snarky, judgmental, and often hilarious star of Scarlett Epstein Hates It Here, a witty and heartwarming novel that’s perfect for fans of David Arnold’s Mosquitoland and Kody Keplinger’s The Duff. Anna Breslaw is a writer whose work has been in New York Magazine, the New York Times, Cosmopolitan, Jezebel, the Guardian, and elsewhere. She lives in New York and Tweets (mostly weird jokes) @annabreslaw. "Scarlett Epstein is so funny and smart it makes me wish I were her when I was a dorky Jewish teen.” —Megan Amram, author of Science…For Her!